Please review all instructions before attempting to update your StudioLive AI loudspeaker’s firmware. 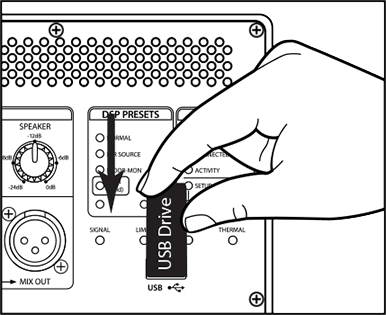 The firmware for StudioLive AI loudspeakers is updated using a USB thumb drive connected to the USB port on the back panel of the loudspeaker. The following instructions will guide you through the update process. 1. Download the firmware-update file for your loudspeaker. NOTE: If you own multiple StudioLive AI-series models, it is important to know that each ‘upgrade.bin’ file is unique to each StudioLive AI loudspeaker model. In other words, don’t install the ‘upgrade.bin’ file for a StudioLive 328AI on a StudioLive 18sAI. Firmware version 1.0.5959 increases the input sensitivity on StudioLive AI-series loudspeakers' analog line inputs from +24 dBu to +14 dBu. NOTE: Depending on your system preferences, the firmware folder may not automatically uncompress from the .zip file. To expand it, simply double-click it. 2. Open your Downloads folder and locate the StudioLive firmware folder. The folder will be named with your StudioLive AI loudspeaker model name. 3. Depending on your system preferences, the firmware folder may not automatically uncompress from the .zip file. To expand it, simply double-click it. 4. Open the firmware folder; you will find two folders inside. Users wishing to only add SL Room Control support should open the folder labeled "SL Room Control only"; you will find a file inside named "upgrade.bin." The second folder is for customers adding a Dante card to the StudioLive AI speaker. This process is detailed for those customers when the Dante card is registered. Power User Tip: Most small USB drives (16 GB or less) are already formatted correctly, so no formatting is required. If your loudspeaker does not detect your thumb drive, verify that it is formatted correctly. 6. Select the upgrade.bin firmware file and copy/paste or drag it to the root level of your thumb drive. Eject your thumb drive and disconnect it from your computer. MPORTANT: Always label the thumbdrive with the StudioLive AI loudspeaker model firmware loaded on it. Loading the wrong model firmware on your loudspeaker will result in poor performance and may require a recovery to reload the correct firmware. If you are unsure of the model firmware you have copied to your drive, it is highly recommended that you verify by overwriting the file with the confirmed correct firmware before proceeding. In other words: only load the firmware file for a 315AI on a 315AI. 9. 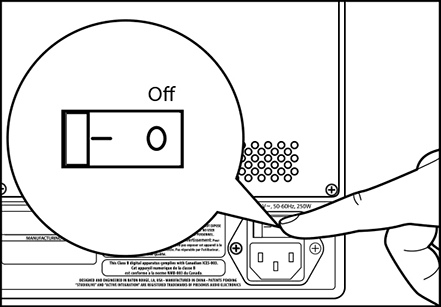 Hold down any one of the buttons on the back panel while powering on the loudspeaker. 10. 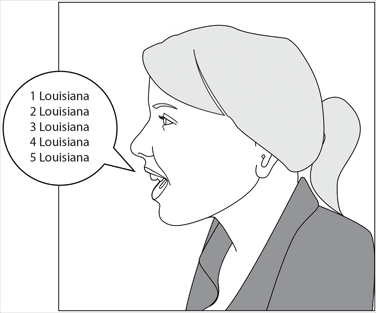 Continue to hold down the button and count to 10 slowly (1 Louisana, 2 Louisana, etc...), then release the button. 11. The LEDs on the back panel will cycle for approximately 40 seconds indicating the update is in process. When the firmware update is complete and the speaker will automatically restart and the LEDs will return to their last known settings indicating the speaker is ready for operation. Once the firmware update is complete you can remove the thumb drive.